Note: This war written around 2010. Many of the links are dead now, and some of the projects listed here are dead by now. You should still be able to find most of the tools on the internet though, just use your favourite search engine. Quake II (Q2) was released by id Software more than 10 years ago, many people still enjoy it though. 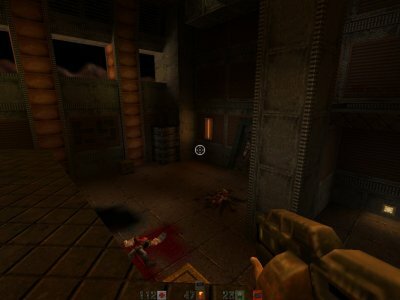 Since the sourcecode was released under the free GNU public license, various project teams have used it to create improved implementations of Quake II. The tools used to create Q2 levels have also evolved quite a bit. This article gives mappers who want to start making Quake II maps today a rough overview. It does not explain how to use a map editor or other tools but tells you which tools are available and common today. You should install Quake II from your CD, then install one of the clients listed above (for most of them, simply copy the executables to the directory where you installed Quake II, but see the readme files for details). The first thing you need is a proper map editor. There are several editors available and many discussions on which one is the best have been started in forums, I won't repeat them here. My opinion on it: the best editor is the one you like best. qeradiant -- Improved version of GtkRadiant, available for Windows, Mac and Unix. GtkRadiant -- Available for Windows, Mac and Unix. QuArK -- the Quake Army Knife. Native Win32 only afaik, but reported to work under Wine. Tread3D, Tread 3.0 -- Another Quake 2 Editor, win32. I use GtkRadiant, but it's your choice. IMPORTANT: You need to install the Quake 2 example maps seperately if you're using Radiant >= 1.5! Get them from zerowing at idsoftware! The file you need is called Q2-Example-Maps-2004-07-18.msi (Windows) or q2-example-maps-2004-12-06.tar.gz (Linux). You'll need a compiler to create the bsp file from your map file. id Software released q2map (which comes with Radiant), but it's common to use improved versions of that tool today. While q2map does all compile stages (BSP, VIS and RAD), the functionality has been split in the modern tools. You could also install a compiler GUI like the Q2Beaver(q2beaver400.zip) on windows. 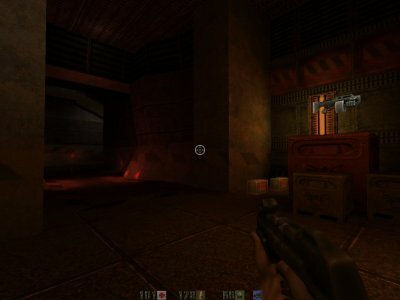 Quake 2 uses its own texture format, textures are wal files. You can use Wally to edit wal textures or to convert other textures to the wal format. It's a windows-only tool, sorry. Ok, you should be ready to create your Quake II map by now. Q: There is a very ugly thing on the ground at all of my spawn points and teleporters! How do I get rid of it? Q: I placed a wav file I want to use for a target_speaker in the sounds directory but Q2 won't play it. What's up?